Are Prince William and Kate Middleton having marital problems? That’s what a lot of royal fans can’t help but wonder as the Duchess of Cambridge looked downright miserable during a Buckingham Palace banquet with the Spanish royals on Wednesday, July 12. 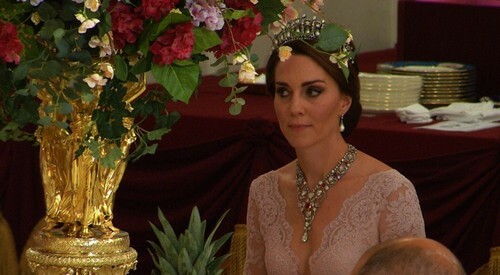 Many eyewitnesses say that Kate Middleton couldn’t hide the fact that she was upset over something while Queen Elizabeth hosted a state banquet for the King and Queen of Spain. Many say that Kate sat at the banquet with her mouth closed and her facial expression rather distant. At one point, she even sucked on her lips which many body language experts believe can be a sign of unhappiness. 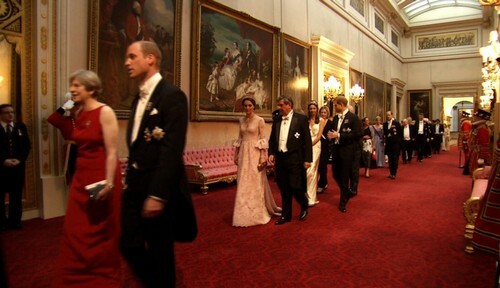 A lot of people also noticed that Prince William ignored his wife throughout the night. He didn’t pose for any photos with her and he certainly didn’t sit with her during dinner as well. Instead, Kate was left to sit by herself while he chatted to the Spanish royals. 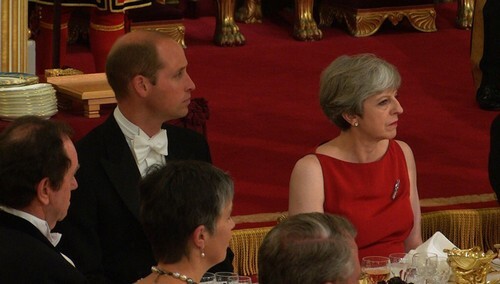 Then again, a lot of royal fans believe that the Duchess of Cambridge looked glum and moody simply because she wasn’t the center of attention at the state banquet. After all, if there’s one thing that Kate Middleton loves, it’s the spotlight. And on Wednesday night, the spotlight just happened to be on Queen Letizia instead. The Spanish royal managed to outshine Kate Middleton with a stunning red dress that made her the best dressed royal of the night. Even Kate Middleton’s daring dress and low neckline didn’t get her the attention that she was probably looking for. Whatever the case, Kate didn’t have a reason to smile on Wednesday night. 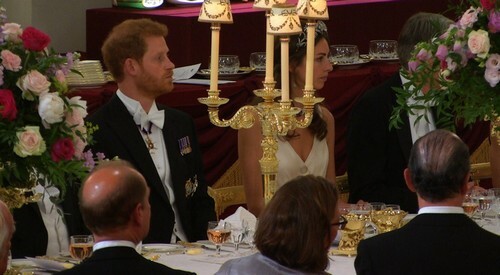 Of course, the real reason why Kate Middleton looked so glum at the banquet is hidden deep within. If she and Prince William truly are having marital problems, royal fans know that the truth will come out one way or another. Clearly, the Duchess of Cambridge won’t be able to hide her true feelings behind a fake smile forever. Sure, every couple argues but with Prince William and Kate Middleton, it’s different. It’s been years since Prince William has showed any affection, love or attention for his wife and for Kate, she’s tired of it. She can’t be ignored and live like this forever. In the meantime, don’t forget to check back with CDL for all the latest news and updates on Prince William and Kate Middleton along with the entire royal family right here. Kate Middleton And Prince William’s Personal Relationship: The Duchess’s Middle-Class Ways Save Royal Love From Scandal? Kate Middleton, Prince William Lazy Royal Parents: Provide No Home Structure For Prince George & Princess Charlotte’s Learning?